The show continues to be one of the most creative and interesting mixes of comedy and drama on TV. 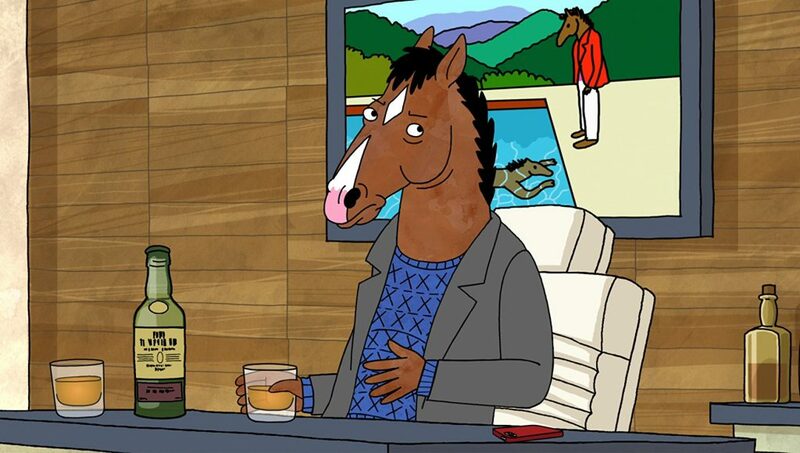 Having the season opener NOT include BoJack is a reversal of a trend where the main character is often featured to the exclusion of supporting cast. Doing it in reverse signals the emphasis on other characters, which is maintained throughout the season making this a most ensemble-centric set of episodes. The way flashback is used throughout the season is also excellent. Episode 2: “THE OLD SUGARMAN PLACE” – one of the three flashback heavy eps. Episode 5: “THOUGHTS AND PRAYERS” – poignancy of mass shootings/gun control. Episode 6: “STUPID PIECE OF SH*T” – brilliant exploration of the voice inside your head. Episode 7: “UNDERGROUND” – leadership and what it means in today’s politics. Episode 9: “RUTHIE – second of the flashback heavy eps. Episode 11: “TIME’S ARROW” – third of the flashback heavy eps. This entry was posted in Television and tagged Must See, Netflix, Top TV 2017, TV.